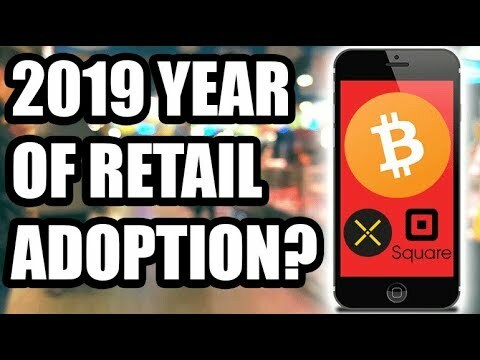 Voluntat 2019 be the year of mass merchant adoption? I think it is more likely that 2019 will be the year of the institutional investors. Let's talk about it! també, do you like Pundi X for merchant adoption? Or Square? següent post:“Cryptocurrency NEEDS its Breakthrough” | Bitcoin MOVING! | Plus Elastos, moneda, and IOTA News! Great info! Thanks a mil! That is if ETN doesn’t beat you to it. I’m trying to explain to others about crypto. Just trying to spread the news. I’m a believer in Pundi X, because they have an actual product utilization that’s been in effect for some time. They’ll only get better over time. I’ll continue to buy while still under a penny and hopefully have a great amount to actually use as a consumer one day. I have to look into Electroneum ETN. I’m unfamiliar about this one; heard of it, but don’t know of it. All in all, we’re winning as EARLY ADOPTERS!!!! DividedShark Pundi X already started off real world use. GO PUNDY X baby!!!!! GO GO GO!! Pundi X has already started shipping their Xpos and in countries like Singapore and Hong Kong, retailers have already started accepting cryptos as payment using Xpass or Xwallet. I don’t think there is one particular thing that will catapult us to instant adoption across the board. Rather the combination of numerous individual events occurring (somewhat) concurrently will cause it. Ivan on Tech has a point about the spend and immediately replace. I have only considered it had to be save or spend. Thanks for sharing! si. 2019 is the year it all goes mainstream. Crypto will traded like normal stocks in regulated exchanges. It will also be used as a currency to pay for pretty much anything. Curious about the reactions you get when you try to explain? 99% of randoms don’t care about tech. That’s the issue with talking about crypto to those not in the space, and a huge reason adoption is harder than many think. Did you see feniks MVP? They reached 100k+ tps at first time… I belive this project replace bitcoin! Seems to me Pundix and Square will function as an intermediary, just like VISA or Mastercard, taking a percentage of every transaction. Great for adoption, I guess, but anathema to Satoshi’s vision for BTC. Melvin Lee and the XWallet is very cool and easy to use. Love it.